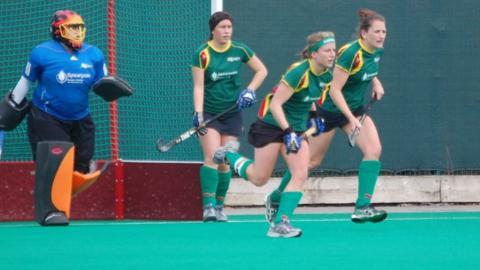 Guernsey are expecting a difficult challenge in the third round of the EH Women's Trophy. The island side will host Bishop's Stortford in February after crushing City of Bath 9-0 last weekend. "They're going to be a strong team, they're quite physical and have got a couple up front that we need to watch," captain Gemma Piercey said. "It's going to be tough, but it is definitely doable," Piercey told BBC Radio Guernsey. "We're going to go in all guns firing like we did this time, and hopefully with a home draw and home crowd we'll get the win that we want." Guernsey were knocked out in the first round last season when they lost 3-1 to Oxford.